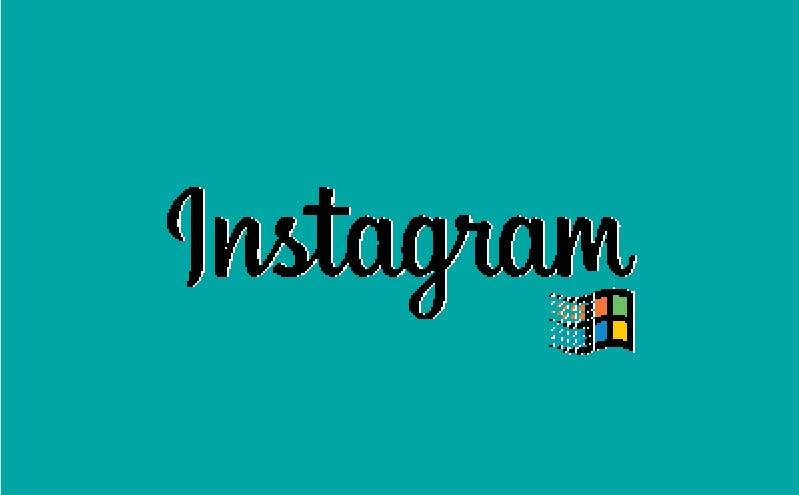 Instagram for Win95 engenders a cornucopia of memories for many over 35. Who remembers the gray sans serif windows, a 1-bit filter, and aquamarine background? Mikhail Petrik is a young artist-animator in Moscow, and he posted his "Instagram for Win95" project on behance.net. According to a study by Pennsylvania State University, about 90 percent of Instagram users are under the age of 35, and most never used Windows 9x, the legendary operating system. The younger generation never heard the sound of the dial-up modem and never saw the bricked labyrinth screensaver. But now they can see how Instagram might have looked at the end of the 20th century. Careless icons as if from the 90s, gray old-school windows, and rectangular buttons. The filters are also antiquated. Forget about 1977, Perpetua and Clarendon. In Instagram for Win95 the photos use the Mac'86, ZX and Apple II effects. Or they make the photo a 1-bit image. Unfortunately, it is still impossible to turn your selfies into a collection of pixels. Instagram for Win95 presents them in the form of GIF files, but the project creator said he is talking with developers to turn his idea into mobile applications. "This is really postmodern," Petrik insists. "It'll be useful for creative people." "I can practically hear the earsplitting sound of the modem," reads one Internet comment about Petrik's project. In 2016, Windows 95 suddenly became incredibly popular. It was launched in Apple Watch and made into a browser. Nostalgia for Windows 95 is not surprising; this operating system was the first for many people. According to cnet.com, in 1998 about 57 percent of the world operating system market was using Windows 95, with more than 50 million sold. Among these millions were practically no Russian users; yet Russians really liked Windows 95. "In Russia there is only one problem for Microsoft: pirates," the Kommersant newspaper wrote in 1995. "I myself probably had a pirated system," Mikhail Petrik recalls. According to the International Planning and Research Corporation, the level of piracy in Russia at the time reached 94 percent of the total computer program market. Microsoft stopped supporting Windows 95 in 2001. Those who again wish to illegally submerge into the world of pixels are left with the hope that Petrik will keep his word, and turn Instagram for Win95 into a smartphone app.